Beach Lodge is located in a secluded shoreline location overlooking Labrax Bay. 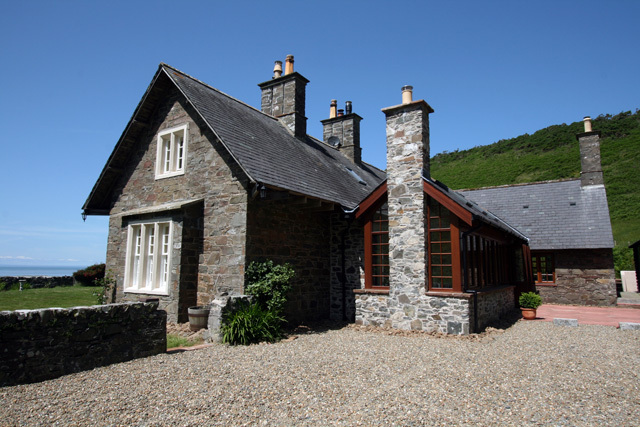 The house a former Bathing Lodge was built in 1785 and is listed, and now extensively renovated, offers a fabulous base for a relaxing holiday, and is equally suitable for a small or large family or for a group of friends. 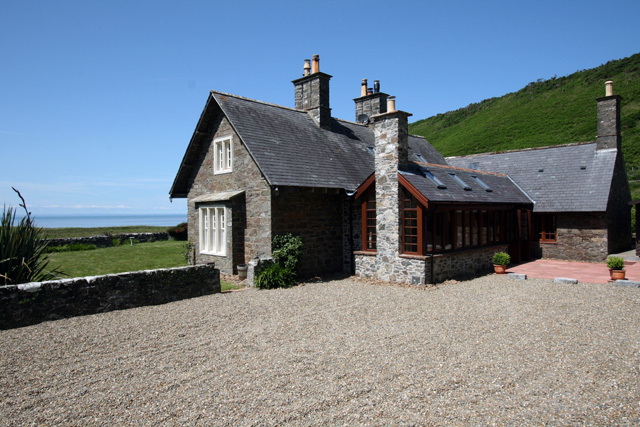 Traditional in style Beach Lodge retains many original features and much of its character, and would be considered to offer one of the best locations for a self catering holiday in the Portpatrick area. 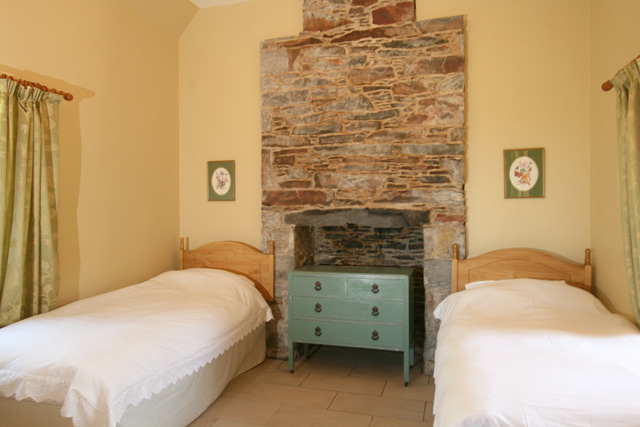 The accommodation is on two levels, and throughout the property is tastefully decorated and furnished, the majority of the rooms enjoying sea and garden views. Accommodation on the lower level is given over to the main living areas, and comprises of a large sun room which enjoys views to the rear of the property and over the patio area. 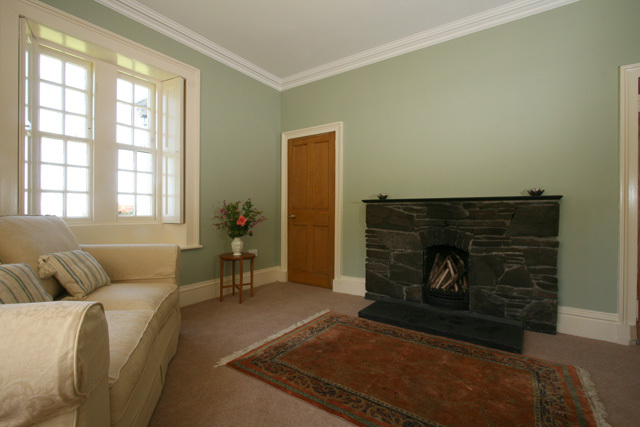 A well equipped kitchen, a traditional style sitting room complete with a multi fuel stove, comfortable sofas and the TV, and a second sitting room which has a real fire, this can also be used as a bedroom with the use of a sofa bed. 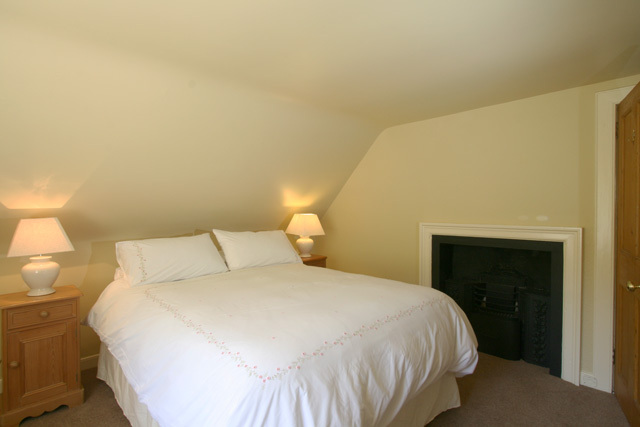 The twin bedroom is located off the sun lounge and benefits from an en-suite bathroom. 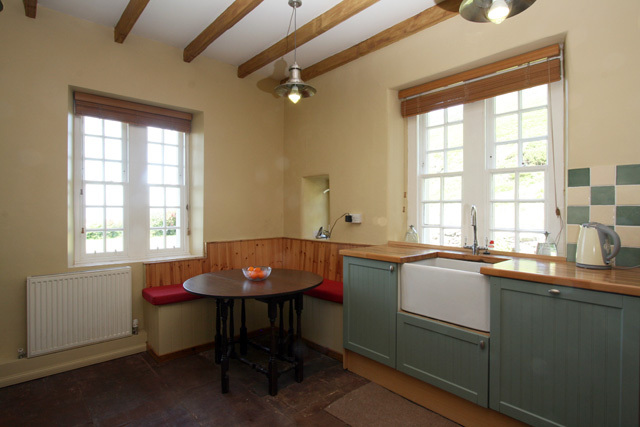 Further facilities on this level include a small utility room and cloakroom. On the upper level, two further bedrooms are located and both have traditional coombed ceilings and feature fireplaces. 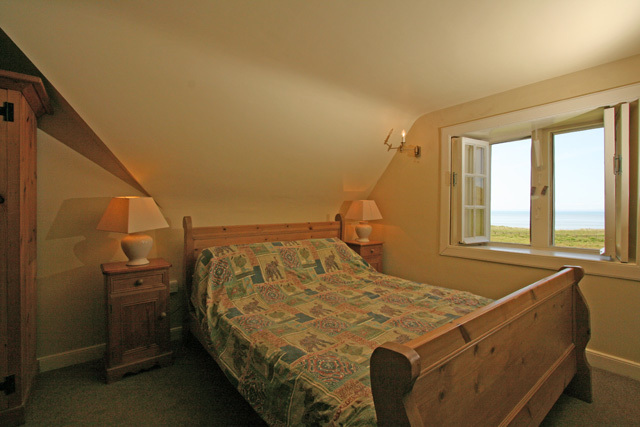 The master bedroom enjoys a shoreline view, and the second bedroom enjoys views to the garden. Further facilities on this level include two bathrooms, which both have baths with showers over, thus ensuring that Beach Lodge has all the requirements to meet the demands of a large family or group. Outside the property has an enclosed garden, and a beautiful patio area complete with a charcoal barbecue. The garden to the front is laid with grass and offers a safe environment for children to play or for the pet owner. 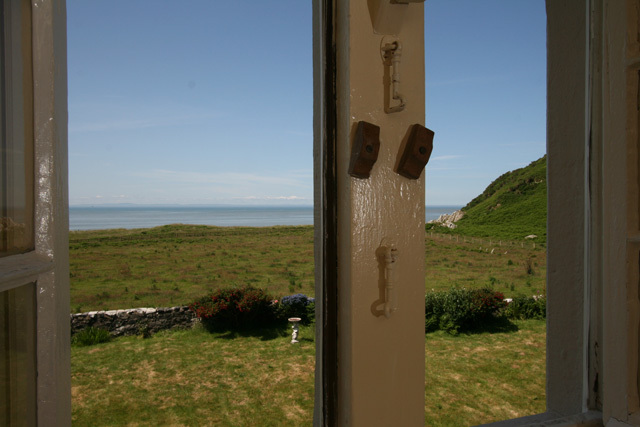 The property is surrounded on three sides by the hillside ensuring that the lodge is private, allowing you to relax and enjoy the sound of the sea, and the views across to Ireland in the west. 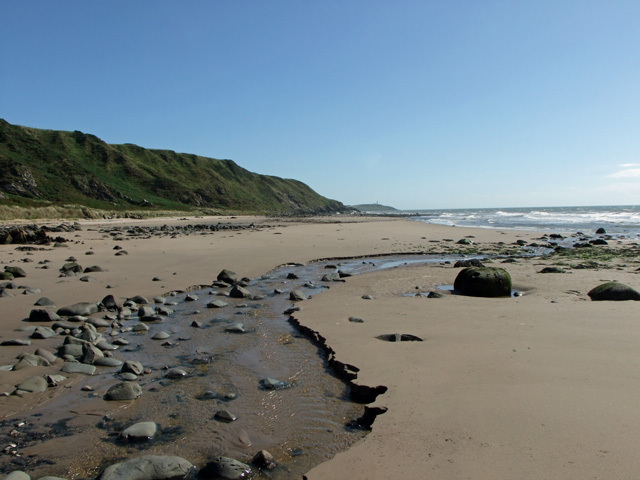 The beach itself is just a few minutes’ walk away and due to its location you will normally find it quiet and secluded. 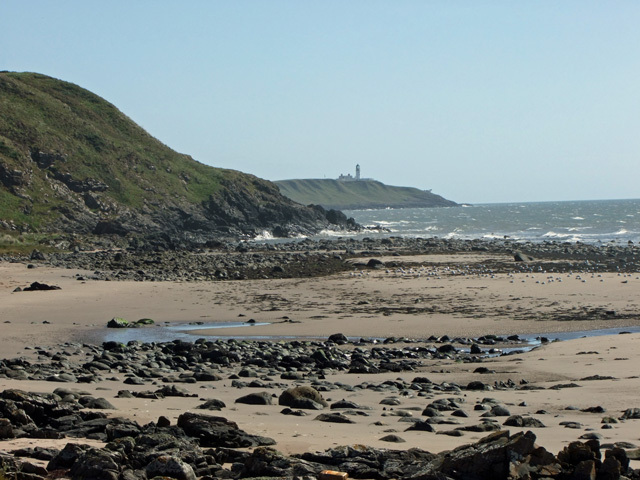 The beach provides a perfect place to walk your dog, and the bay itself is popular with windsurfers. For the larger party Beach Lodge also has its own chalet located beside the patio. 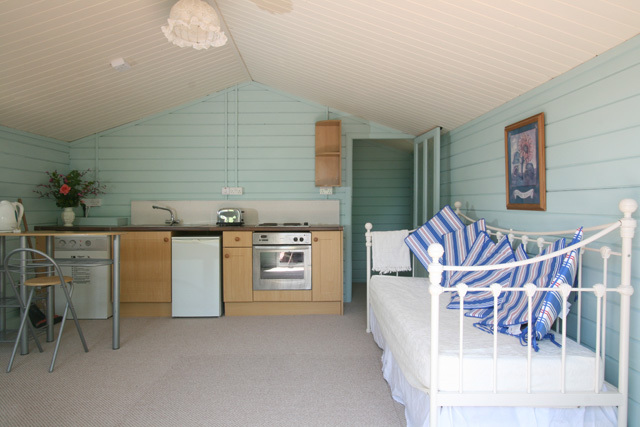 Tastefully decorated in a seaside blue, the chalet offers self contained living accommodation for either one or two guests. 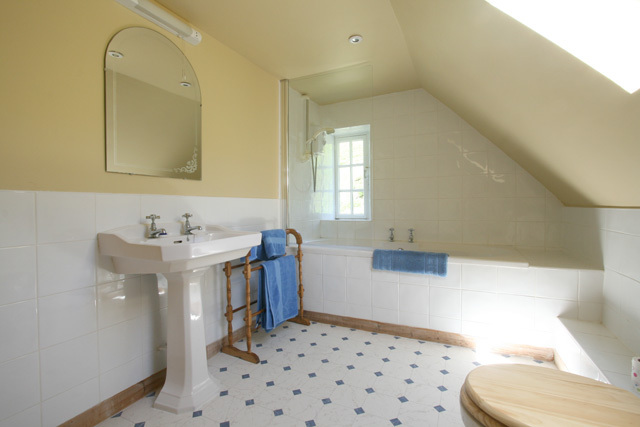 The chalet benefits from having oil central heating, its own cooking facilities and a shower room complete with a wc and whb. For further details regarding the chalet see our main Facilities List below. 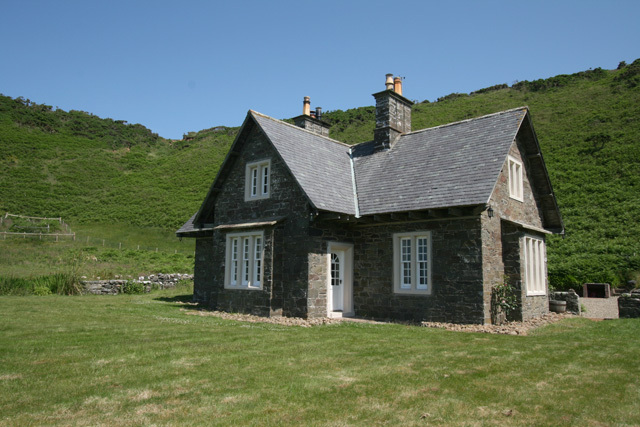 The nearest towns to the property would be either Stranraer or Portpatrick and both offer a good range of facilities. Stranraer being the larger offers a range of shops, including a large supermarket and a Tourist Information Centre. 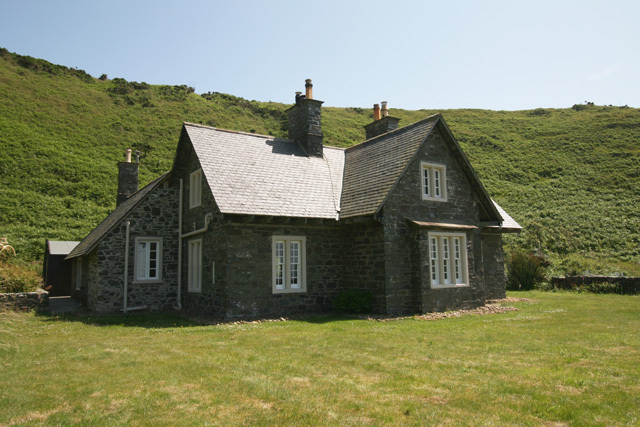 The village of Portpatrick is very scenic, and the main facilities can be found around the pretty harbour. If you are looking for a smaller property in this area or if Beach Lodge is booked, Shore Cottage is situated in the vicinity and also is pet friendly, we also now have Stable Cottage which is located closeby. 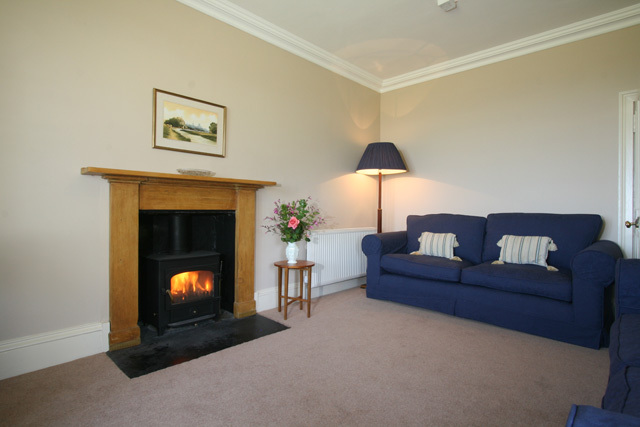 Lounge with multi fuel stove, comfortable sofas, TV, DVD, window overlooking the garden and a door which offers direct access to the garden. 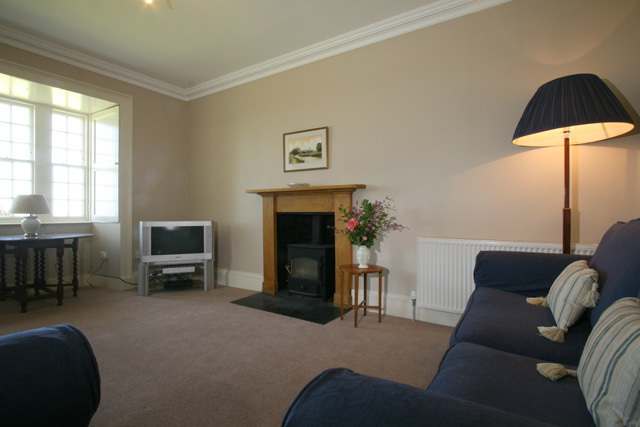 Sitting room with open fire, comfortable seating including a double sofa bed, dual aspect windows with views to the side and front garden. 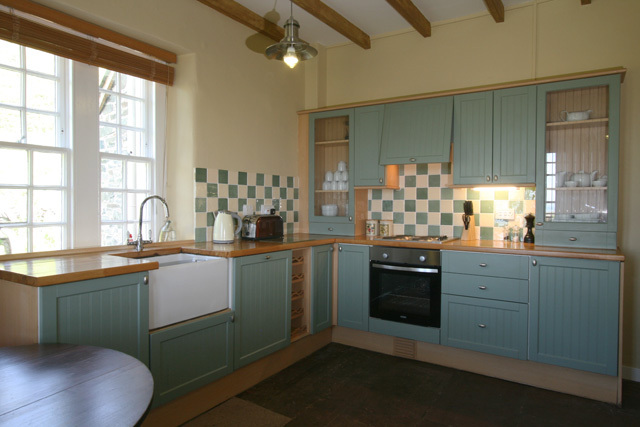 Kitchen, electric hob & oven, fridge, freezer, microwave, and all the usual kitchen equipment. Small dining table with seating for four, dual aspect windows to the front and side garden. 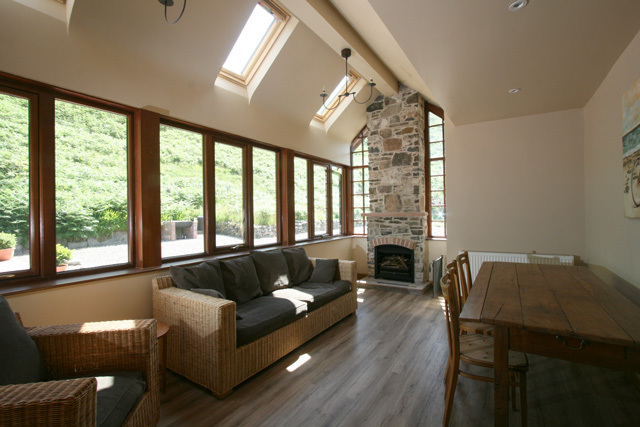 Sun room, dining table and seating for ten, open fire, conservatory style seating, direct access to the patio area at the rear of the property. 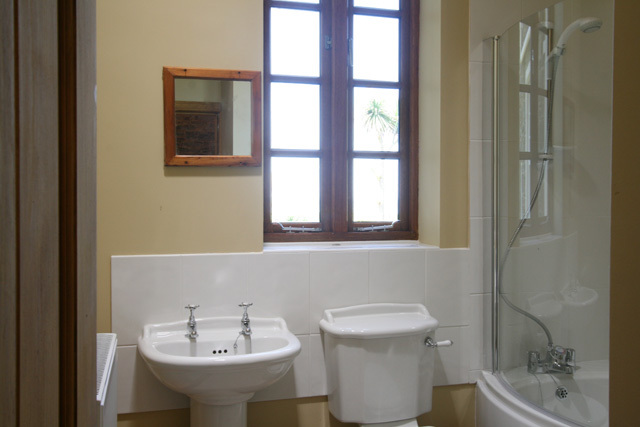 Twin bedroom, en-suite bathroom, bath with shower over, wc, whb. Small utility room with washing machine, and cloakroom, whb, wc. 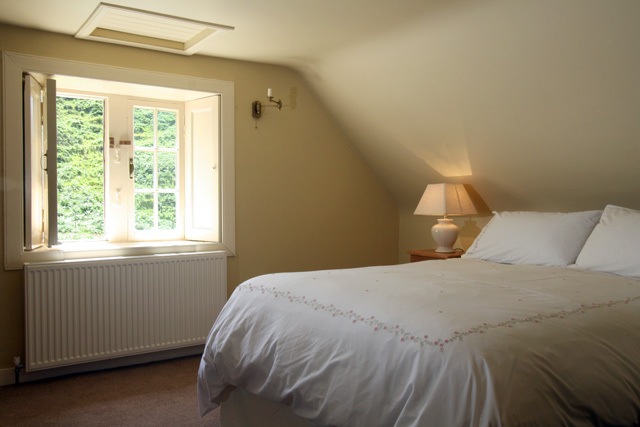 Master bedroom, king size bed, window with views to the garden and the sea. 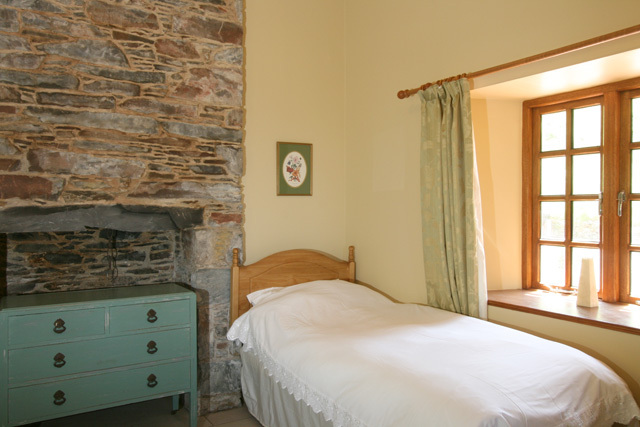 Second bedroom, double bed, window with views to the side garden. 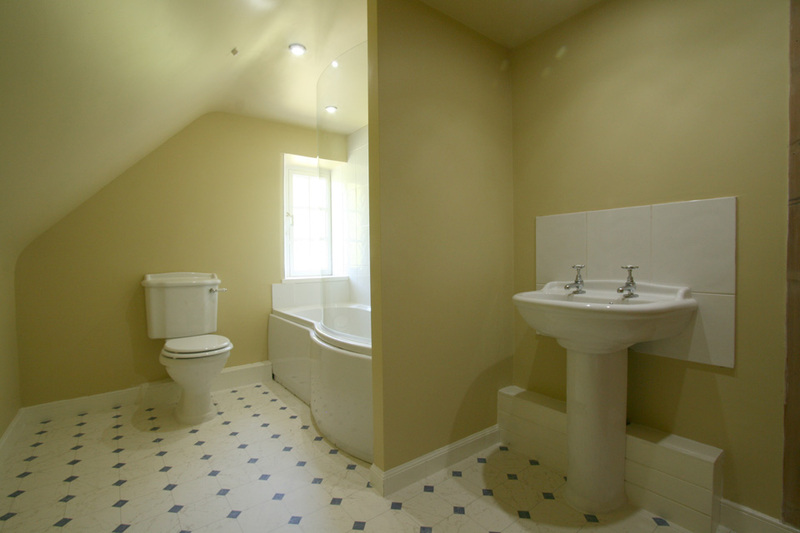 Bathroom, bath with shower over, wc, whb. Second bathroom, bath with shower over, wc, whb. 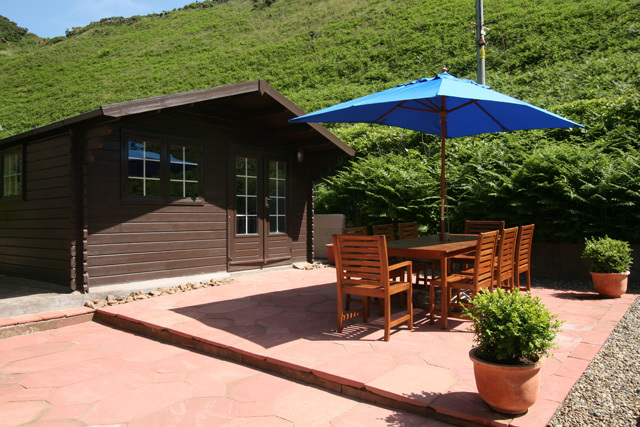 A self contained wooden chalet is located at the rear of the property, which can accommodate a maximum of two guests, an additional charge of £150.00 per week is levied for the use of this facility. Please confirm at the time of booking whether you would like to use this facility. 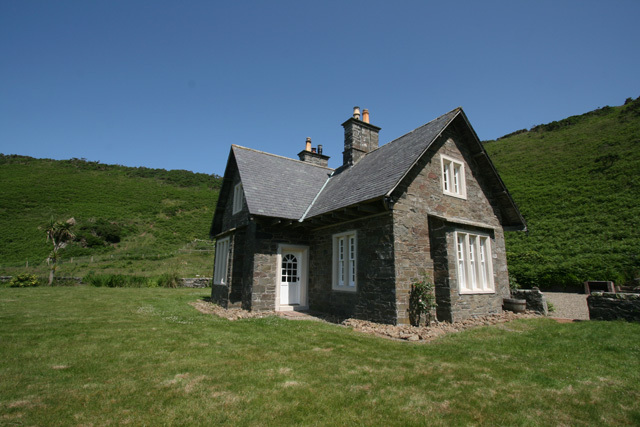 Please note that the chalet is only ever rented along with Beach Lodge and is therefore not available to rent on a standalone basis. Open plan lounge, kitchen and sleeping area. Lounge area with double fold away bed, TV and DVD. 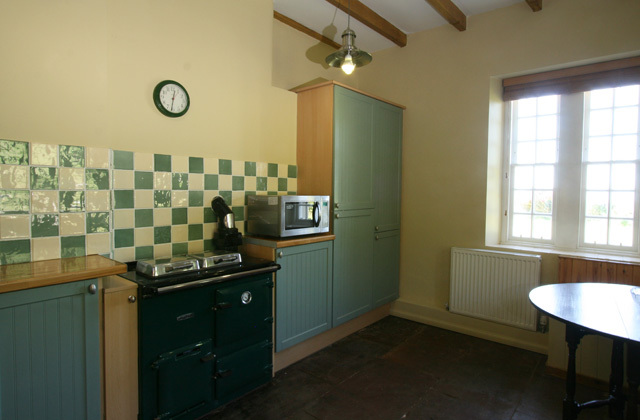 Kitchen with electric hob and oven, fridge, and the usual kitchen equipment. Shower room with shower cubicle, wc, whb. Enclosed garden with patio area, garden furniture and charcoal barbecue. Initial fuel for the multi fuel stove and open fires. 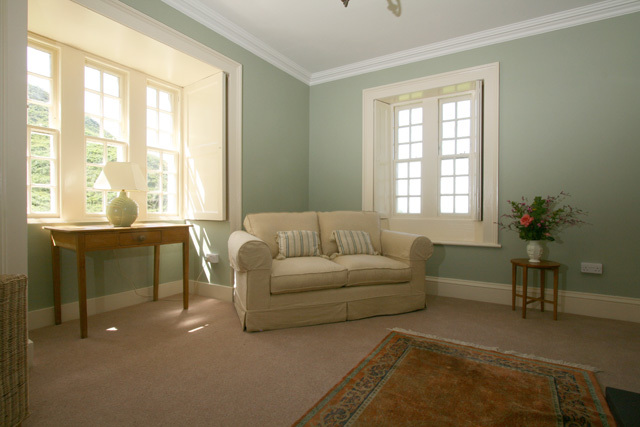 Two pets are welcome at the property, however all pets must be kept off the furniture, and are not allowed in the bedrooms. Access to this property is by an unmade track, and is unsuitable for vehicles with low ground clearance. A 4 x 4 vehicle is therefore highly recommended. Please ask at the time of booking for more information and advice. 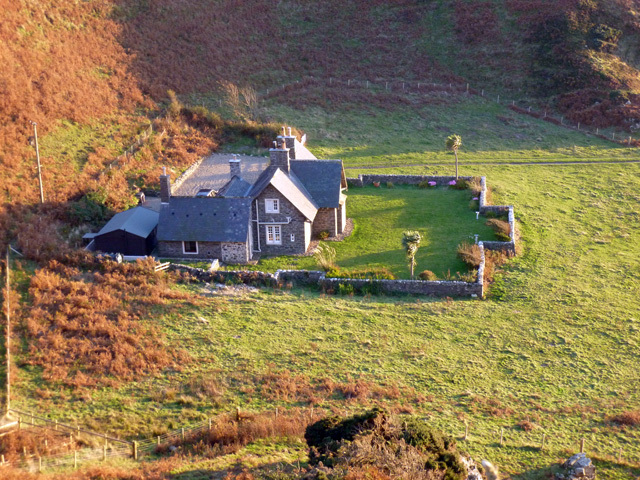 Traditional property with uninterrupted sea views. 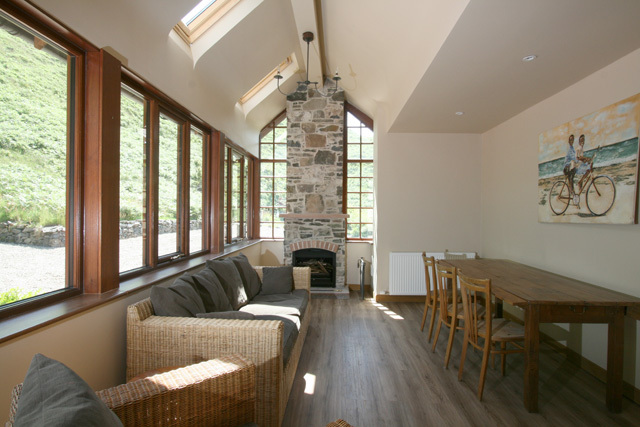 Spacious accommodation for a group or a large family. Beach side location ideal for the pet owner or for children. This is the second year we have been to Beach Lodge in November and once again we had a very enjoyable 'chill' break. We love the isolation and the almost 'private beach' on which we take the dog 3 or 4 times per day come rain, shine or even snow. The accommodation is excellent with ample room for everyone to relax, on this occasion we were 4 with another couple joining us for 3 days, plenty of room. Plenty of wildlife to see, deer in front of the house, sea otters, rabbits and the odd fox. I would thoroughly recommend the lodge to people who want to get away from it all and really chill out. Wonderful Place to stay unique just a few yards to the beach. Stay very well organised just a little bit of paint would be necessary here and there. We are looking forward to coming back again. We had a fantastic stay at Beach Lodge. It is so secluded and is located in a beautiful setting set back from the beach. Our 2 dalmatians were in their element and loved the beach. We saw our neighbours who were staying at Shore Cottage a few times other than that we saw no one else. We had the beach to ourselves. Check the tide times before you go. There were only 2 of us staying so we closed the doors of the rooms that we weren't using. On a clear night the stars are amazing. We saw such an abundance of wild life, deer, foxes, hares and of course the farm animals. We had 4 deer in the garden the day we left. The only negative comments that I would make are that some of the furnishings are a bit tired and could be doing with being updated, settee covers could be doing with a wash and it also wasn't as clean as I expected (bathrooms and bedrooms spotless) but none of this would stop me from returning we had a great time. The track down to the cottage isn't suitable for low suspension cars as we found out but with slow careful driving its managable. Beautiful cottage everything in it you could need. Location amazing,beach was fantastic,did not meet anyone for a week. Peace and quiet brilliant!! We stayed at Beach Lodge for a week from 15th to 22nd October. It was perfect! 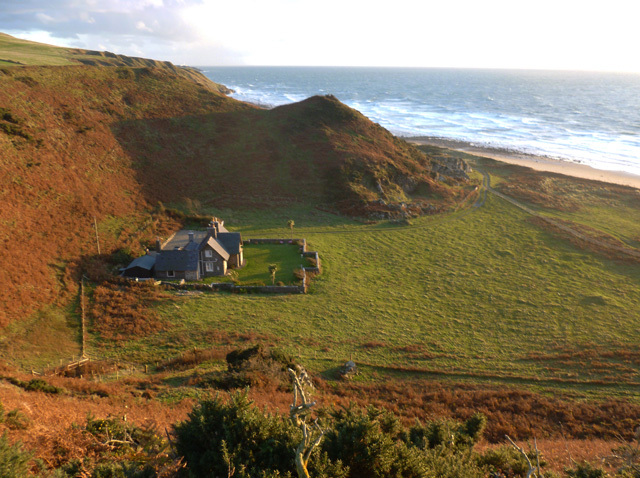 A beautiful house tucked away in the bay with a huge expanse of sandy beach and not a soul in sight. We had a lovely sunny break taking in the sights of the Rhins and on the one day of rain were happy to sit indoors relaxing and only venturing as far as the beach for a walk with the dogs. A lovely restful week in a lovely location!